The European Commission has recently launched a new portal to help EU-based SMEs for extending their business to markets beyond the EU. The Portal aims to give SMEs clear and easy access to the broad range of existing public services. A key component of the Portal is a database giving EU SMEs details of public support service providers, both locally and in international growth markets. Services available in the target market. The search results can be further refined by defining types of internationalisation (import, export, foreign direct investment etc. ), specific services or languages spoken by the SME. Public service providers for SMEs looking to expand beyond the EU are invited to register via the portal's homepage (https://webgate.ec.europa.eu/smeip/) and add their service offer to the database. 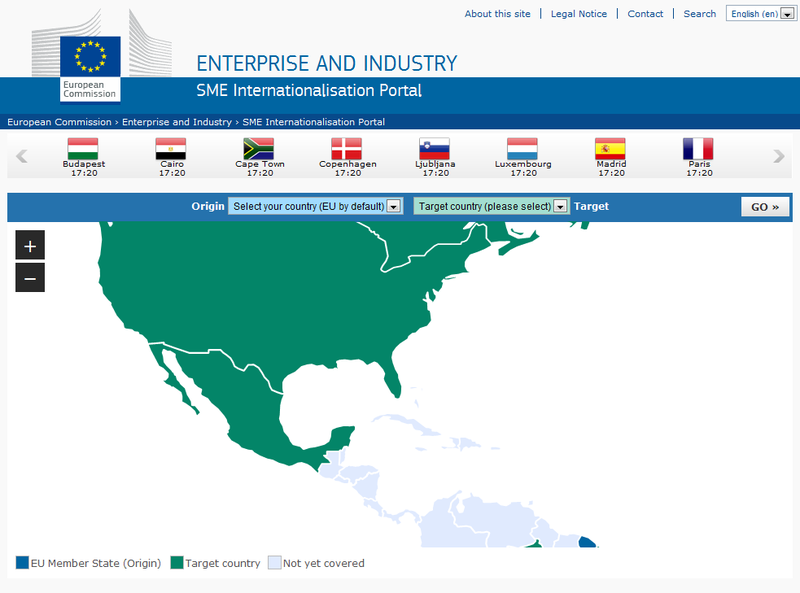 The SME Internationalisation Portal also provides links to the European Commission's "Market Access Database" (http://madb.europa.eu/), which provides market access information for individual growth markets.